WEBNOW Review 2019: Is WEBNOW a Good Hosting? South African company WebNow offers web-based services such as web hosting, email hosting, reseller hosting, dedicated servers, cloud, VPS, domains, and a website builder. South African company WebNow was founded in the year 2004. This continually evolving company has transformed its technology and packages to cater to the web hosting needs of corporations, businesses, and individuals. The WebNow website is in English. WebNow offers three shared web hosting plans. Its most basic (Starter) plan comes with five email accounts and minimal disk space of 300 MB. However, these can be upgraded to up to 10 GB disk space and 300 email accounts in the higher-tier plan. 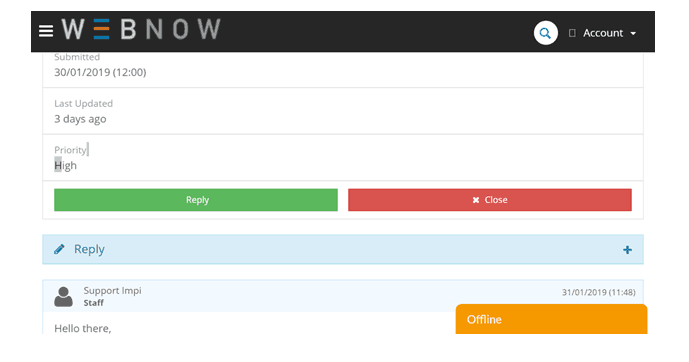 All shared hosting plans feature the WebsitePanel control panel to help you manage your hosting accounts. This panel also features a one-click app installer that facilitates the installation of over 70 scripts, complemented by support for WordPress, Joomla, Magento, and Drupal CMS software plus hosting for e-commerce and blogging platforms. 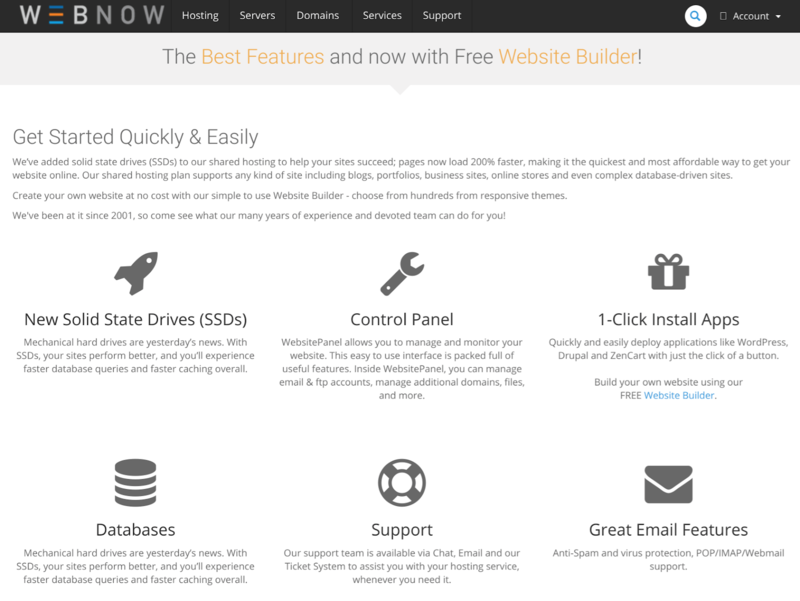 WebNow’s website builder allows you to create a beautiful, modern-looking website in minutes. Moreover, your websites will be hosted on full SSDs for supercharged performance. The only real downer for me is the comparatively low 99.5% uptime guarantee. If you ever want to progress beyond simple shared hosting, WebNow also offers cloud VPS hosting that gives you greater control over your server and installed software; and dedicated servers that provide you with pretty much complete control. Although WebNow offers plans at fairly good prices, these plans can only be purchased annually, and there are no obvious discounts on offer. But you do get a 30-day money-back guarantee, which is good. It’s also good that you can get free domain name registration and free website migration from your previous hosting provider. Despite offering only monthly billing terms, the payment options are quite flexible and include credit cards, PayPal, Electronic Fund Transfers (EFT), Bitcoin, and direct debit. Each hosting service description page includes its own service-specific FAQs that should answer your common questions, and there is also a more formal knowledge base. This vendor doesn’t have a 24/7 customer support system, but you should get a response soon enough when you submit a support ticket, which is what I did. WebNow can provide you with an end-to-end web solution including designing and developing your website (if you want) in addition to hosting it. Whether you do it yourself, or they do it for you, they have great programming support for their interactive and database-driven features. Now go check out WebNow’s hosting plans. Wondering how WEBNOW stacks up against other Web Hosting companies? Enter any other Web Hosting company and we will give you a side-by-side comparison.